The Game of Life is a cellular simulation game that models the evolution of complex systems through a set of simple rules. -Any live cell with fewer than two live neighbours dies, as if caused by under-population. -Any live cell with two or three live neighbours lives on to the next generation. -Any live cell with more than three live neighbours dies, as if by overcrowding. -Any dead cell with exactly three live neighbours becomes a live cell, as if by reproduction. Our version of the game adds into this an extra element based on human interaction. 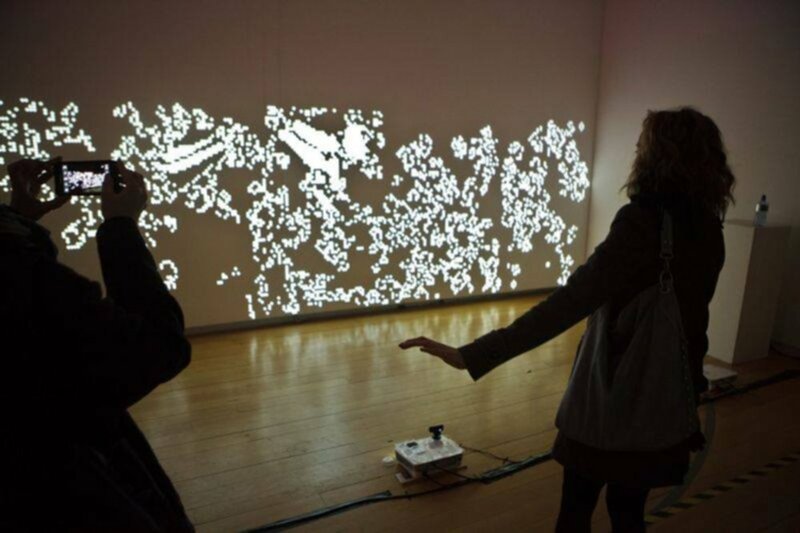 A motion sensitive camera tracks the movement of people in the space and their movement brings cells to life. The aim of the piece is to demonstrate human interaction with the natural world and to highlight the law of unintended consequences wherein simple actions can create complex reactions. Le Cool Compound from Le Cool Dublin on Vimeo.